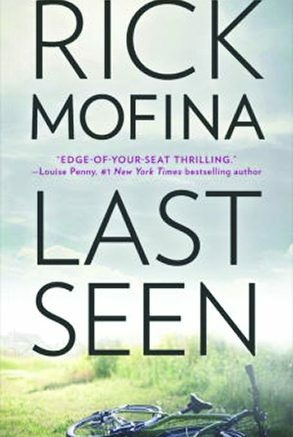 A parent’s worst nightmare is realized in Mofina’s latest thriller. Cal Hudson, his wife Faith, and their young son Gage are spending the day at a local carnival when the unthinkable happens. Gage disappears in the midst of a haunted maze, and the frantic parents cannot find him. Cal works as a reporter for a popular newspaper, but spends more time with his phone and work than focusing on his family. His wife puts up with his never being around, but it gets to her. Now they are forced to put aside their squabbles to find their son. Even though they were together when Gage vanished, both of them have suspicions that the other one might be responsible and behind the crime. The ending is both surprising and appropriate for the story. Mofina crafts marvelous tales that showcase the world of newspapers and family dynamics. Why he is not a household name for his thrillers is the real puzzle. 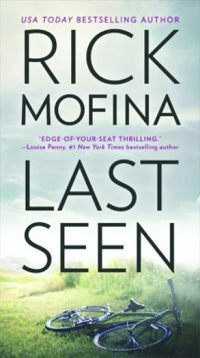 Be the first to comment on "“Last Seen” by Rick Mofina"